McGean Cee-Bee wire brush. Aircraft cleaning tool. Highest quality. 3 row, angled head. 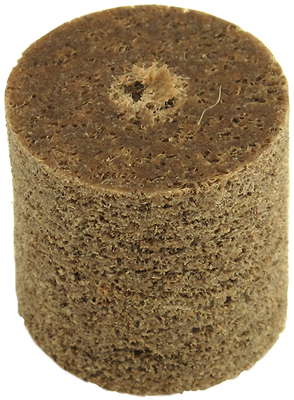 Bristle area: 2-1/2" x 1/2" x 1/2" high. 8-3/4" overall length. 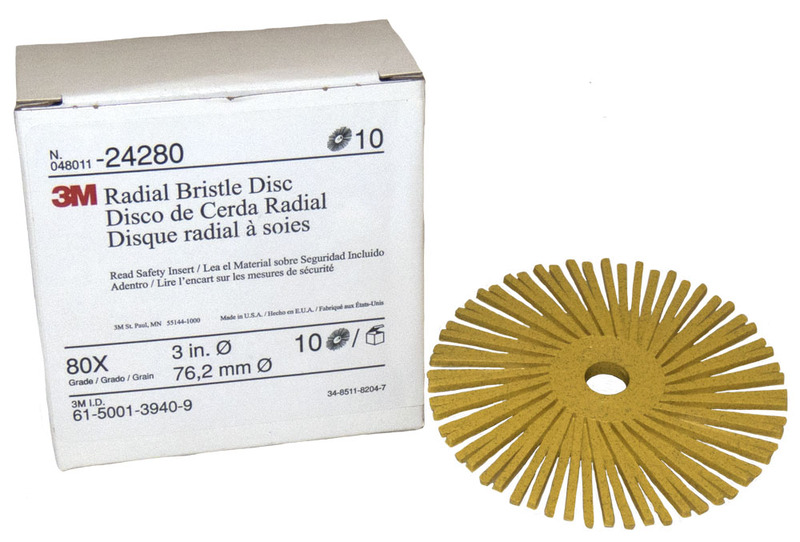 3M Scotch-brite grade 80 radial bristle disc. Ceramic elements replace wire brushes. The flexible bristles require less pressure and conform to contours even on complex parts. 25,000 RPM max. 3"D x 3/8" arbor. Over 5,000 available. Big savings over OEM/whole sale prices of up to $12 each! 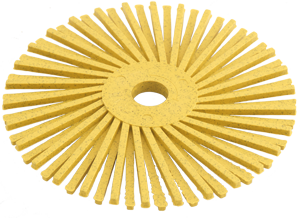 3M Scotch-brite general purpose unitized wheel. 1" x 1" x 3/16". 15,000 rpm's. 3M Part Numbers: 48011-90220, 048011902203, 500-48011-90220-8, 61-0000-0515-9. 50 per bag. Solid abrasive material, not just coated. Every bag includes drill adapter. 10 per box. Wheel only, no drill adapter.